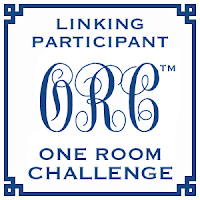 A week has flown by and it is time to share some more details on my 12-year-old daughter's room redecorating as part of the linking party on One Room Challenge hosted by Linda of Calling It Home. 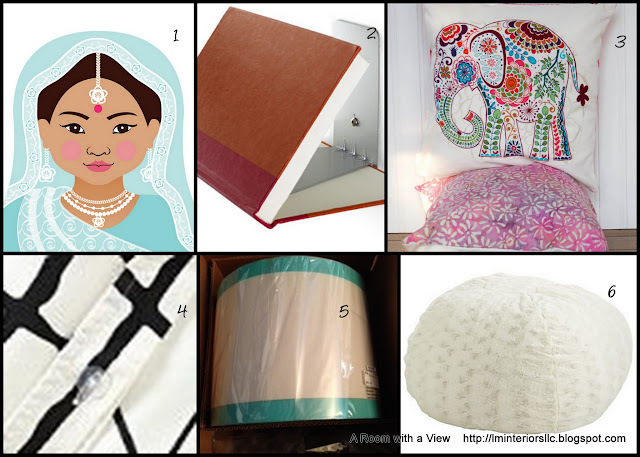 If you missed last week's post, the first on this challenge, go here. Last week, I shared my new, updated design board for Emily's room. The new plan decided on a couple of months ago. Here are the items that are new to the design plan including some that have been added more recently. The biggest change in this room, other than the (obvious) wall color is the duvet cover. I chose not to buy the shams, at this point anyway. Emily is into a more modern look. She has a say in all choices. This black-and-white graphic pattern will definitely add a touch of modernity to the room while being neutral enough to allow one to have some fun with color by way of throw pillows. Fingers crossed it pays off. The bedding arrived recently but I have not opened it, and the pillows arrived today. There is so much going on I want to be systematic in my opening of the boxes. Next week I will share 2 floorplans for the room and tell you which one we finally went with and why. The room has been painted for a while and we have a wall of artwork and the bookshelves up as well. Pictures of these for next week, too. 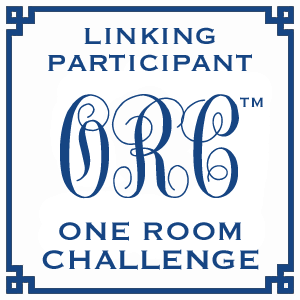 Do check out the other participants in this One Room Challenge linking party. To read One Room Challenge - Week 1's post, go here.